Receive complimentary UK standard delivery and deluxe samples with every order! 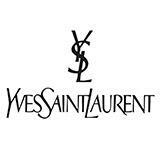 Receive a YSL Branded Towel when you purchase 2 or more complexion products. This includes foundations, cushions, touche eclat etc.